Vivimos tiempos en que el planeta Tierra se debilita, todos estamos en esta superficie, unos al norte, otros al sur, pero somos la especie humana creada, crecida y transformada por el amor del Padre de todos. Desde nuestras comunidades, busquemos la bendita presencia, sólo esta podrá conducirnos a responder a las necesidades que padecemos. We are living in times in which the planet Earth is deteriorating, we are all on that planet’s surface, some to the north and others to the south, but we are created as the human species, developed and transformed by the love of the Father for everyone. From our communities we seek the blessed presence; only that can lead us to respond to the necessities we suffer. Do I live in thankful awareness of God’s constant presence in my life? Am I sensitive and obedient to the leadings of the Holy Spirit? When do I take time for contemplation and spiritual refreshment? 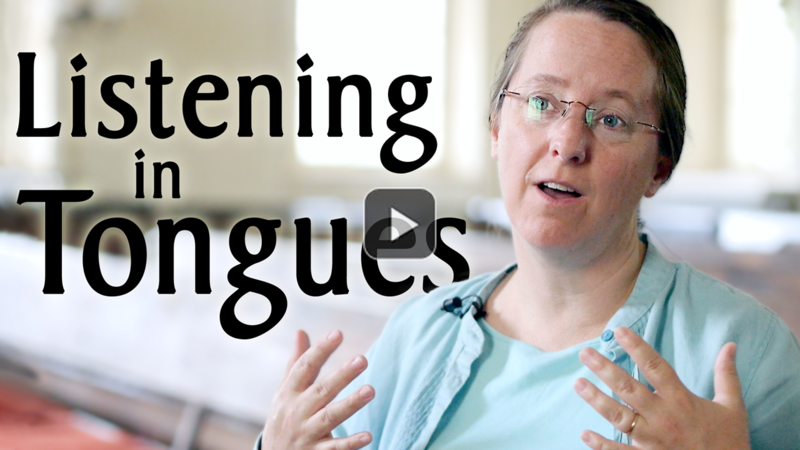 What steps am I taking to center my life and to stay open to continuing revelation? Have we honored the counsel of our elders and pastors? When we were not in unity, did we find the mind of Christ through discussion and prayer rather than through politicking and voting? A caring Meeting can bring healing at times of difficulty or despair. Listen sensitively to what, although not clearly expressed, may be a cry for help. Are you available to help others, even at some cost to yourself? Are you willing to be helped, both practically and spiritually? You can see Paulette perform another of the tracks here. We met for Meeting for Worship Sunday morning Oct 1st and both during Meeting and afterwards we acknowledged that we are happy to be part of the World Family of Friends. Stories were shared from Meetings with other traditions than ours and Friendship across borders, continents and oceans. A reminder also that in reality all days are Quaker days. 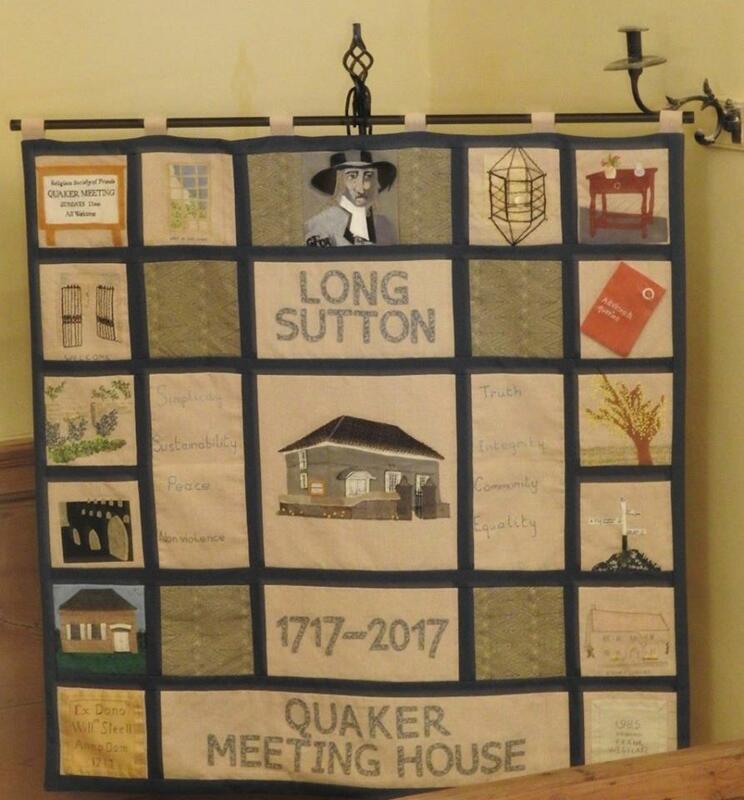 Long Sutton (Somerset, England) Quaker Meeting sends love and greetings. We have just celebrated the 300th birthday of our Meeting House, created in other turbulent times. We ask you to pray for peace and justice and thought you might like to do this while meditating on the wall hanging we made to commemorate our beautiful place of worship. We received prepared ministry during the Meeting for Worship. This ministry gave us the context for the day. We heard examples of the work of the Religious Society of Friends in different parts of the world. We acknowledged that Quakers world wide share in common an understanding that there is something of God/ the Divine/ the Light in each person, and from that core understanding comes the values of speaking truth, treating others and the environment with respect, living simply, working with others, resolving conflict through peaceful means. 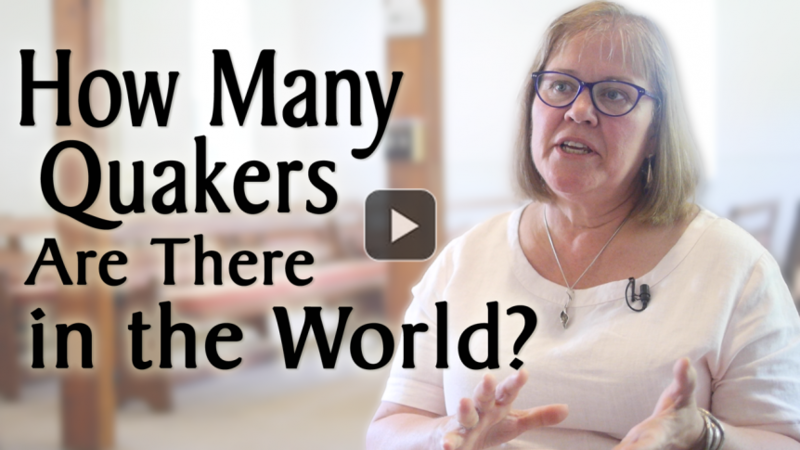 The words of Gretchen Castle, the General Secretary of Friends World Committee for Consultation were read, “If we can love our Quaker family who look very different from us, who worship very differently from how we worship, then we can learn to bring love to the world”. The prepared ministry gave rise to spoken ministry which included appreciating our diversity, justice and vegetarianism. After the Meeting for Worship we had the opportunity of looking at the 2017 version of the Finding Quakers Around the World Map. Those new to Friends (quite a number in our meeting!) were particularly surprised about the large number of Friends in Africa and South America. Ministry in Meeting had included awareness of the the witness for peace and justice going on amongst Quakers around the world and Friends wished to pass on their good wishes and prayers. 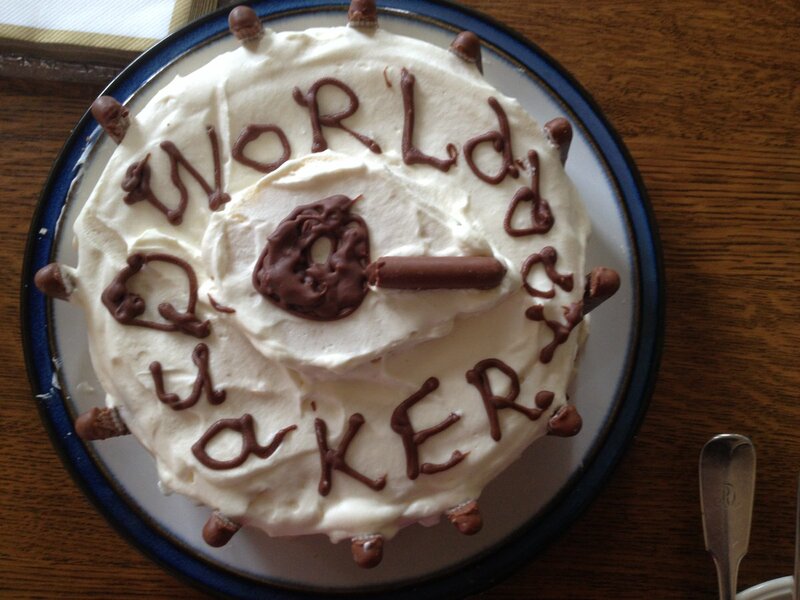 Rathfarnham Friends celebrated World Quaker Day by reflecting on what Quakerism means to them … and by eating cake! 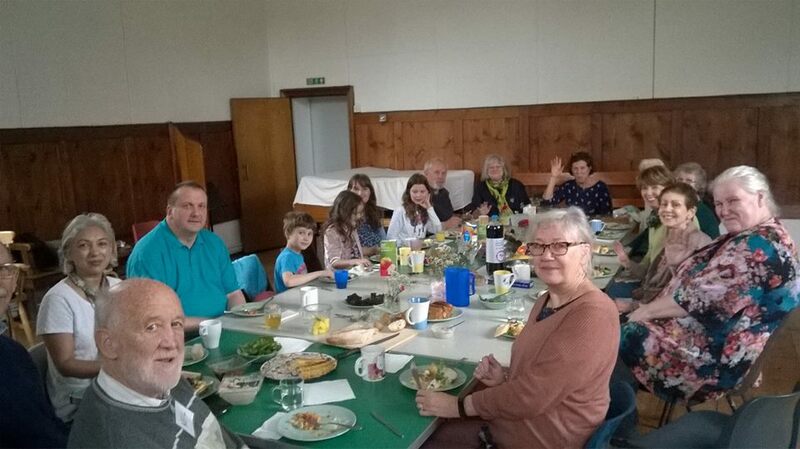 Rochester Friends celebrated World Quaker Day with a buffet lunch for their meeting house hirers. 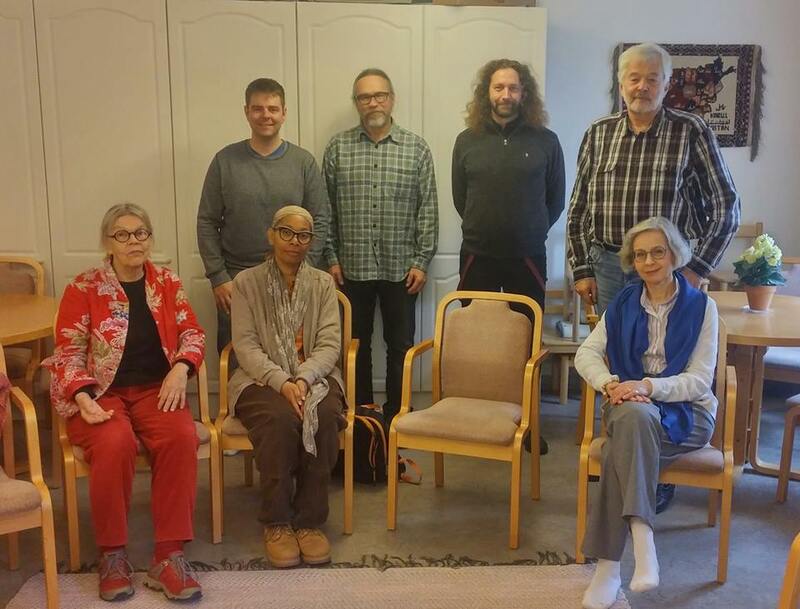 Members of Sweden YM Executive and Nominations Committees and Elders met at the YM retreat Centre Svartbäcken, 60 km north of Stockholm, for their annual weekend retreat. On Sunday, October 1 we had Meeting for Worship together before having lunch and departing. There are many more in our group, these lovely Friends were present when the picture was taken. Greetings to Friends everywhere on World Quaker Day 2017! 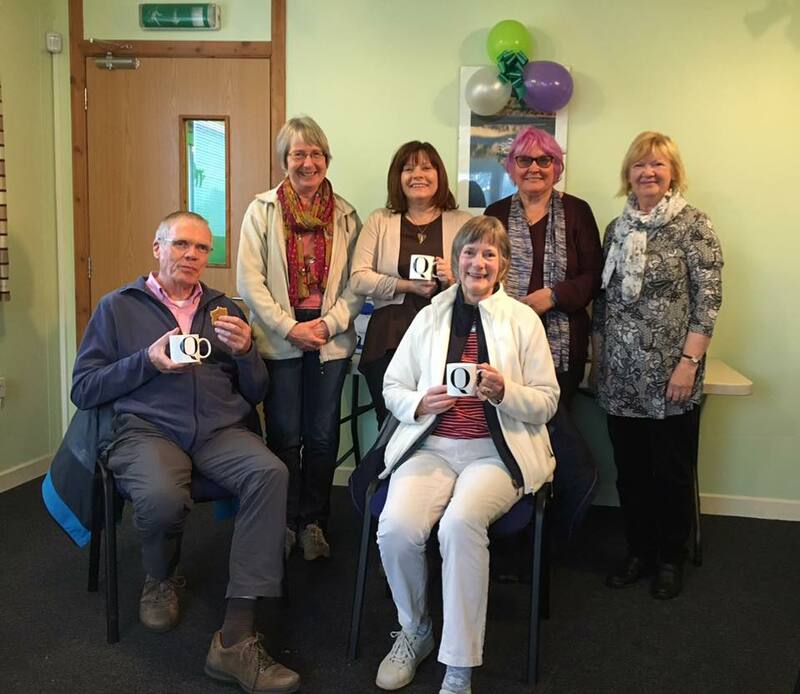 Quakers in Ayrshire enjoyed a fruitful meeting for worship followed by delicious flapjack and hot drinks. 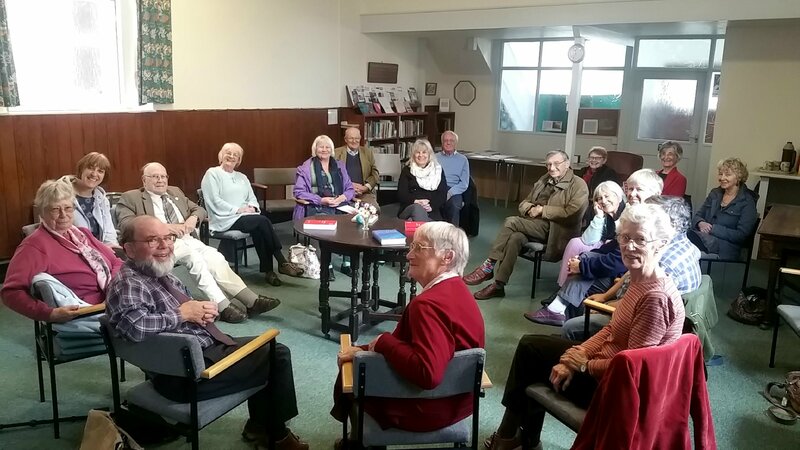 While the rain lashed outside, we discussed the highlights of the previous day’s successful enquirers day in which several members participated. We also finalised planning for our open day this Wednesday which is focused on Peace Education and how our faith leads us to action. 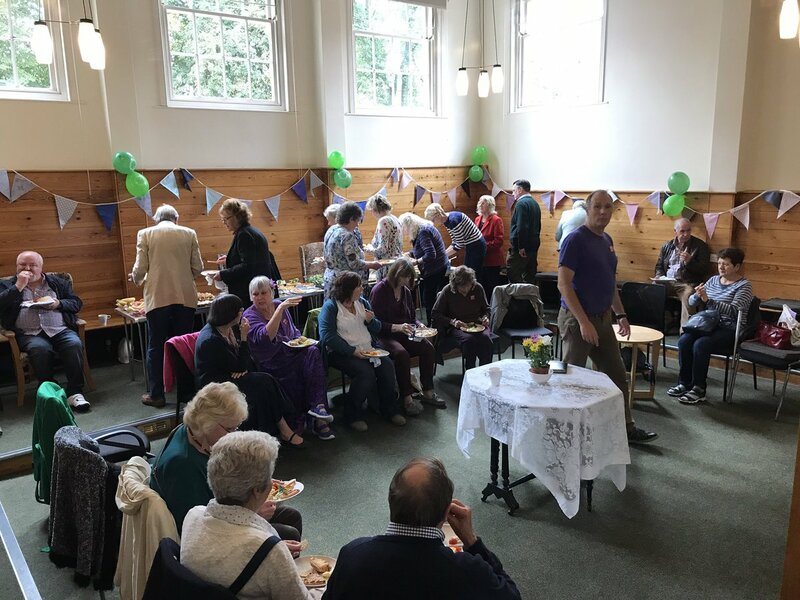 Winchmore Hill Quakers (Britain Yearly Meeting) marking World Quaker Day / BYM Quaker Week with their first shared lunch in their newly refurbished premises.